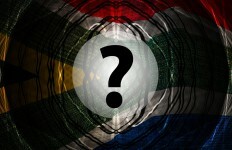 What is the likelihood of Western Cape Independence? In the last few years we have witnessed the spread of the idea of an independent Western Cape in the public consciousness. How likely would it be for the Western Cape to become Independent? 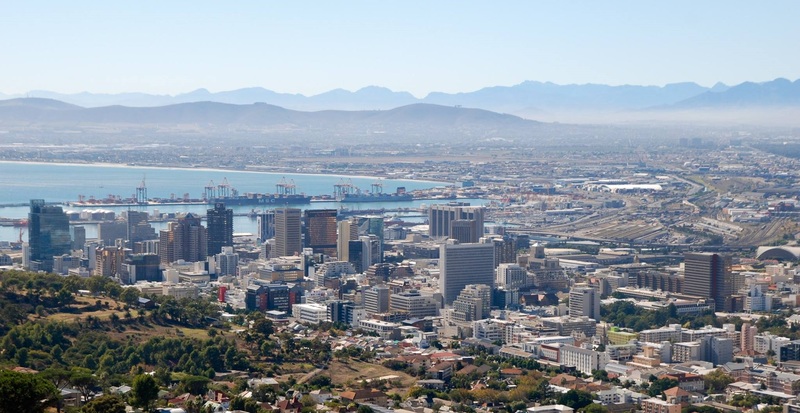 While it currently seems unlikely that the Western Cape would become independent, it is worth noting that there have been several independence movements over the past few decades. Most of failed, but some have succeeded. Below is a list of several prominent separatist movements. 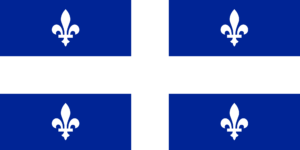 Quebec, has been a province in Canada since its foundation in 1867. However, as recently as 1995 the province came dangerously close to seceding from the rest of Canada. While the rest of Canada traces its routes to British colonization and settlement, Quebec was colonized by the French. Therefore the province has always been different from the rest of the country and many have yearned for an independent Quebec. In the most recent referendum in 1995 almost five million Quebecois voted, and the option to remain part of Canada won by just 54288 votes. Had the Yes option to become an independent state had one, North America would have gained a new nation and split Canada in half. 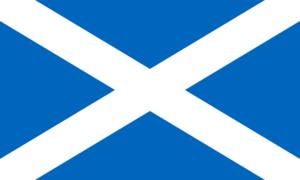 A referendum on Scottish independence from the United Kingdom took place in September 2014. The referendum question, which voters answered with “Yes” or “No”, was “Should Scotland be an independent country?”. The “No” side won, with 2,001,926 (55.3%) voting against independence and 1,617,989 (44.7%) voting in favour. Had the Yes vote won, Scotland would have had the mandate to leave the United Kingdom, a union they had been a part of since 1707. 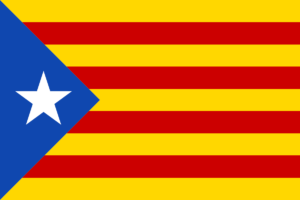 A controversial independence referendum was held in Catalonia on 1 October 2017, using a disputed voting process. It was declared illegal and suspended by the Constitutional Court of Spain because it breached the Constitution. The European Commission agreed that the referendum was illegal. The referendum asked the question: “Do you want Catalonia to become an independent state in the form of a republic?”. More than 2,020,000 voters (91.96%) answered “Yes” and around 177,000 answered “No”, on a turnout of 43.03%. Following the referendum several prominent Catalonian leaders were arrested by the Spanish government. Catalonia has been a part of Spain since the 15th century. This separation was largely due to religious and ethnic differences. South Sudan has a population of 12 million, most of which are of Sub-Saharan African heritage with Christianity as the majority religion. Sudan in its current form has a population of around 30 million, of which 70% have Arab heritage and the vast majority follow Islam. Between 9 and 15 January 2011, a referendum was held to determine whether South Sudan should become an independent country and separate from Sudan. 98.83% of the population voted for independence. 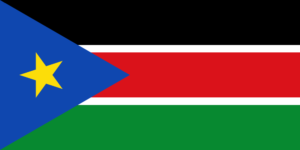 In July 2011 South Sudan became the 54th independent country in Africa and since the 193rd member of the United Nations. The idea of Western Cape Independence has become much more prominent in recent years. 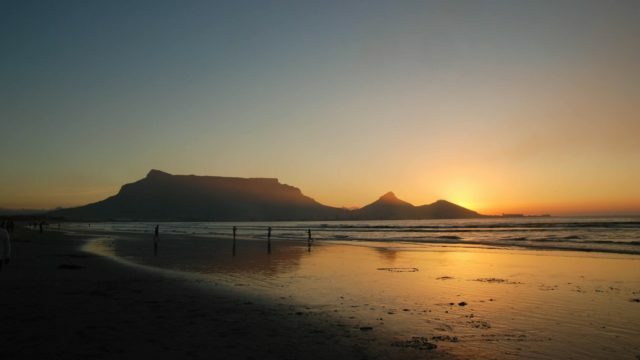 Many visitors to the province comment that it ‘feels different’ to the rest of South Africa. This could be a result of different climates, language differences, different vegetarian and different management styles of the DA vs ANC governments. However, like the rest of South Africa, the Western Cape still faces unemployment, poverty and violent crime. South Africa in its present form only came into being in 1910 with the creation of the Union of South Africa. Therefore the country is a far more recent creation than a united Canada, Britain or Spain. How would an Independent Western Cape compare to the rest of South Africa? Most of the most well-known separatist movements in the world have been based around ethnic or cultural groups seeking independence from other groups. The French Quebecois in Canada wanting separation from the rest of English Canada. The Scottish wanting separation from the largely English United Kingdom. The Catalonians wanting independence from the Spanish. The black and Christian South Sudanese wanting independence from the Arab and Islamic Sudan. Differences in ethnicity is also a driving force for the Western Cape Independence movement, although some state this more explicitly than others. There are several groups that support the notion of an independent Western Cape. Below are a few groups that have made headlines in recent months with their support for Western Cape independence. 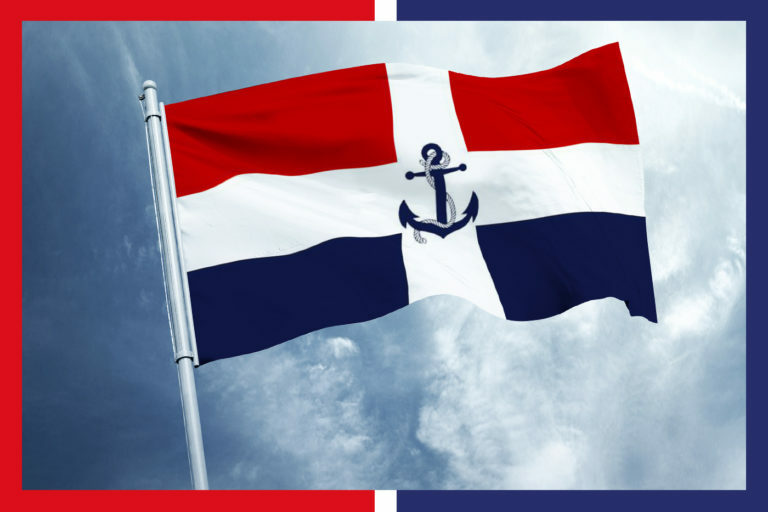 Above: The proposed flag of the ‘Cape Republic’, the independent country that the Cape Party seeks to create. 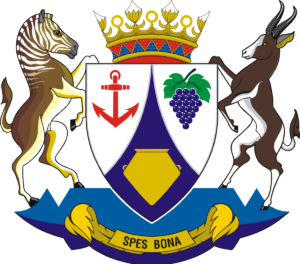 The Cape Party (CAPE) is a political party in South Africa which seeks independence for the Western Cape, Northern Cape, six municipalities in the Eastern Cape, and one municipality in the Free State. 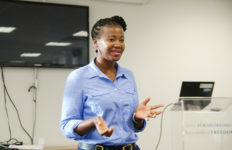 The Cape Party is registered with the IEC and was on the provincial ballot of the Western Cape in the South African general elections of 2009, where it received 2552 votes. In the municipal elections in 2016. where it received 4,473 votes. 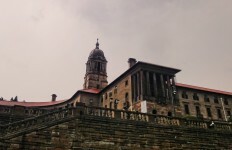 On their website they also argue that the South African Constitution recognizes the right of self-determination of any community sharing a common cultural and language heritage. 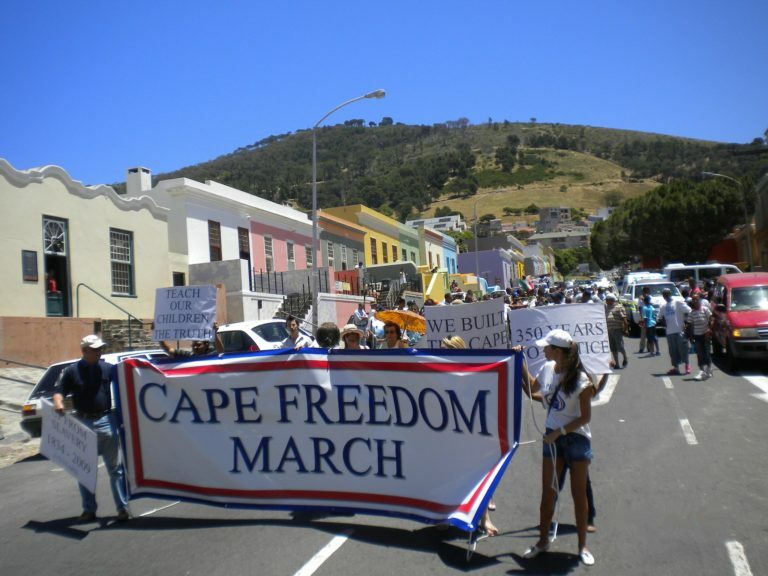 Above: Cape Party members marching through the Bo Kaap in Cape Town. 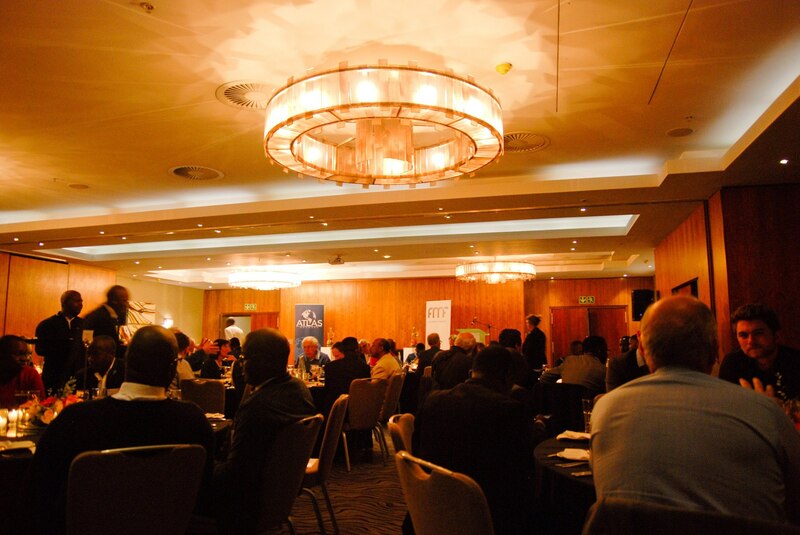 Above: Traditional leaders at an event in Cape Town. 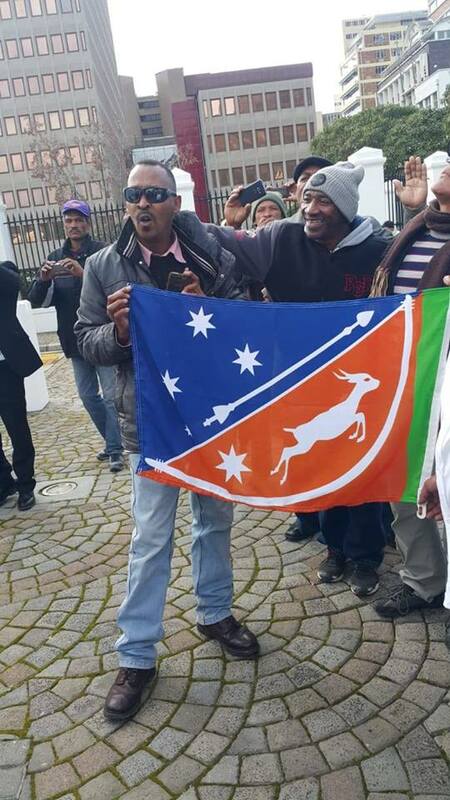 Gatvol Capetonian says it wants to see an independent Western Cape – a country with its own flag, currency and laws. This statement is one of many such utterances that point to a disturbing growth in racial nationalism in the supposed Rainbow Nation. 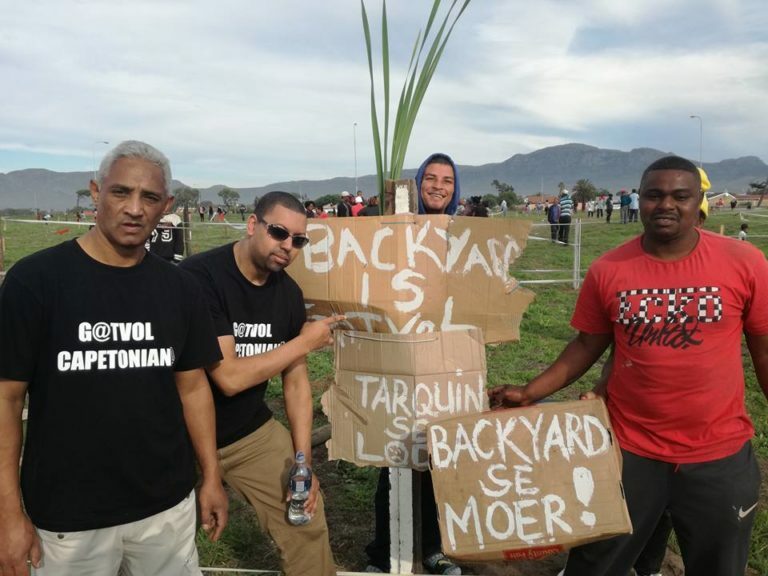 Above: Gatvol Capetonian members at a protest in Parkwood, Cape Town. 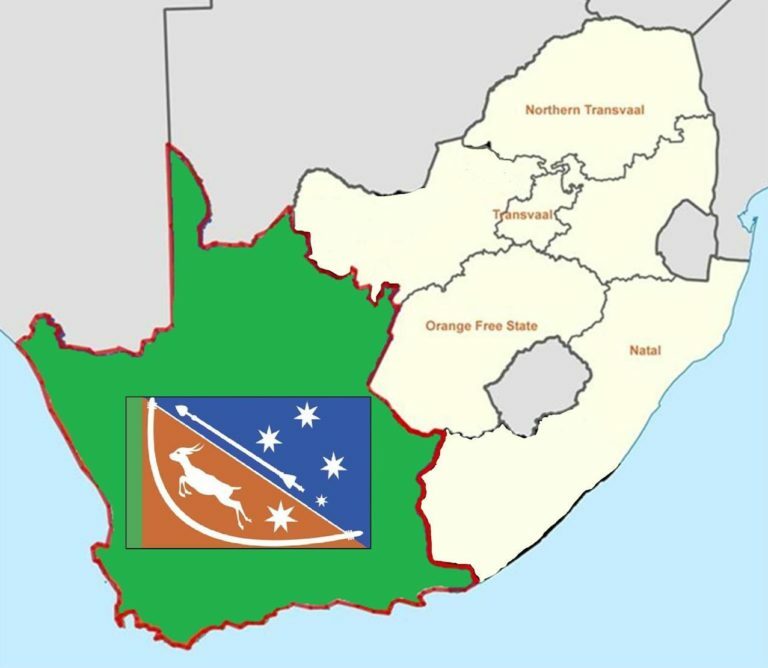 The Sovereign State of Good Hope is the proposed formation of a new sovereign nation state comprising the current provinces of the Western Cape and Northern Cape. Prominently featured is the traditional hereditary tribal leader of the Khoisan Nation, Gaob (which loosely translates to King in English) Khoebaha Calvin Cornelius III. In July 2018 a group led by King Khoebaha Calvin Cornelius the 3rd told Parliament and government until that they had until Friday to vacate the premises. An eviction notice was placed at the visitors centre of Parliament on Monday but was later removed by the police. The threats are seen as a publicity stunt, and not all traditional groups agree with the movement. Western Cape Independence: Part of a largers ‘Break Up’ Trend? 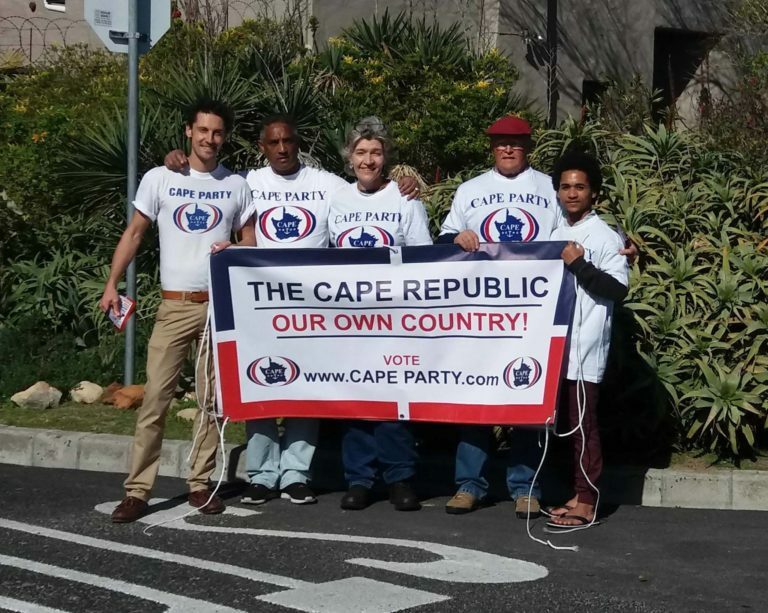 Is the movement for an Independent Western Cape part of a larger trend in South Africa? 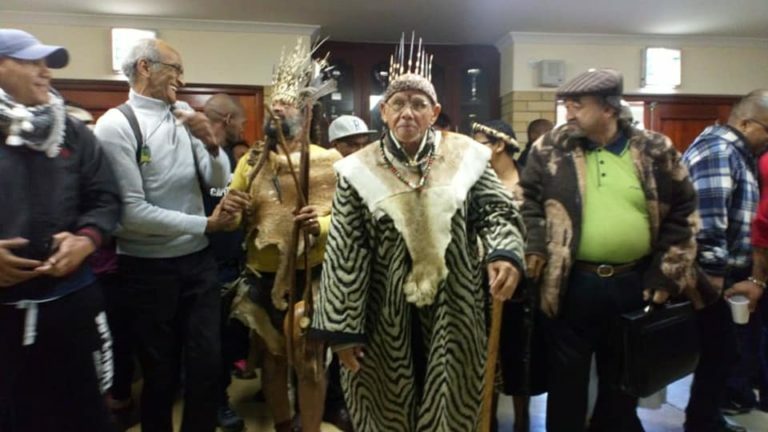 In recent weeks King Goodwill Zwelithini, King of the Zulu people, has threatened that if the Ingonyama Trust Act is affected by government’s plan to expropriate land without compensation, he will fight to have KwaZulu-Natal declared a separate Zulu homeland. Unlike Western Cape Independence, Kwa-Zulu Natal Independence has never not been a major topic of conversation. But like Scotland, Quebec and Catalonia it is largely ethnically homogeneous with 77% of the population speaking Zulu. With a estimated population of 11 million people and with a major city like Durban it has many of the requirements for a viable independent country. Another, albiet much smaller, example of an enclave trend is Orania. This small town has been a defacto ‘whites only’ village with the aim of preserving Afrikaans heritage and culture. With it’s own currency( the Ora) and plans to create its own digital currency, Orania could be start of many independent communities in South Africa. 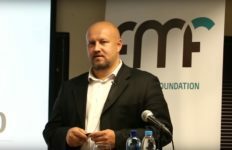 In his book A Time Traveller’s Guide to South Africa in 2030 Frans Cronje describes a scenario called “the Break-up of SA“. Based on current trends, Cronje feels the most probable of his four scenarios. In this future, the ANC wins the 2019 election on a ticket of resurgent nationalism. However it subsequently fails to enact the economic reforms required to meet voters’ expectations. It therefore loses its national majority soon thereafter. This creates a vacuum in which unstable coalitions and policy confusion reign supreme. Government finds it impossible to implement the economic reforms required to create economic growth. For a brief time it appears that civil society might drive positive change but hope soon fades as mass protests develop a nasty racial character and turn into violent rioting. Race, ethnic and class divides become deeper and South Africans gradually drift apart into enclaves. The wealthy and middle class hide behind the walls of their cluster homes and golf estates, while the poor clustered into rural areas along tribal lines run by traditional leaders and in the inner cities into ghettos run by gangs. Cronje claims that South Africa is further down this road than people realize. The elite and the upper middle class will suffer through it, although their dollar-denominated wealth will decline. There will be terrible problems, for example the country might run out of petrol, and they will be forced to become increasingly self-sufficient, independent of government. So there will be good private schools and independent universities in the enclaves. “If you’re well hedged and living on the Atlantic Seaboard you will be able to maintain a fairly high standard of living … if you can block out the horror outside the walls” says Cronje. The idea of Western Cape Independence certainly fits into this vision of the future, in which ethnic and racial ties become more important than the idea of being ‘South African’.